Custom Design Fully Automated Saw Systems | Advanced Machine & Engineering Co.
With over 45 years of experience designing and manufacturing large carbide saw systems, AMSAW® offers tested solutions to unique cutting applications. 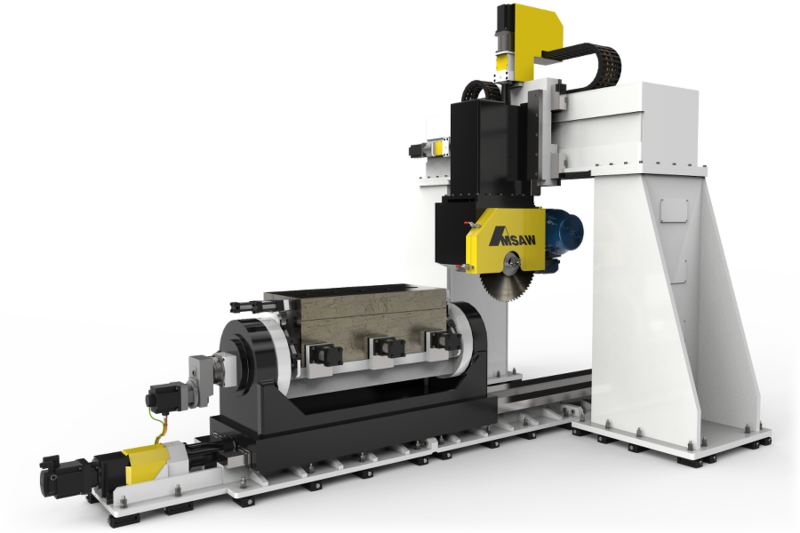 AMSAW® designs fully automated saws featuring additional processes like drilling, chamfering, or milling for industries like agriculture and automotive, and designs saws for cutting any material from high alloy steel to aluminum. Also available with a variety of measuring methods, automatic weight checking of cuts, automaticseparation of cut material, and robotic stacking, AMSAW® has the solution for any sawing challenge.